Island Vibez Hair Studio in Surrey. 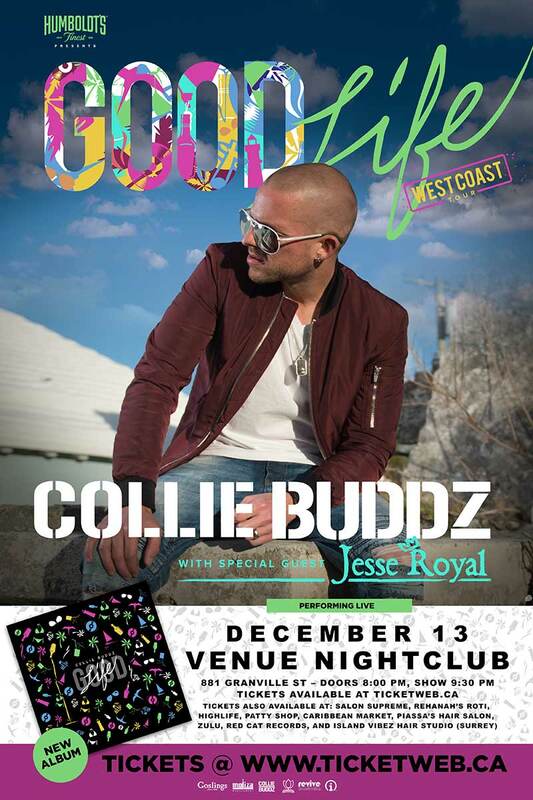 Collie Buddz (born Colin Harper, August 21, 1981) is an American reggae and dancehall artist with origins from Bermuda, best known for his single "Come Around". He attended Albert College in Belleville, Ontario, Canada. With his independent spirit guiding his journey Buddz has toured the world. He's constantly creating new music and experimenting with it in front of live audiences almost immediately. He's honed his craft while in support of several tours with artists such as Cypress Hill, Rebelution and Matisyahu. He's performed in front of thousands at the largest music festivals such as Lollapalooza, Boomtown, Summer Jam and the California Roots Festival.